Nimet graduated from the Canadian Memorial Chiropractic College in 2002 and is a clinic director of the Optimum Health Centre in Toronto. In addition to Acupuncture Canada, Nimet trained with The School of Eastern Medicine in Toronto and is a registered Acupuncturist with CTCMPAO. 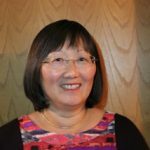 She is past president of Acupuncture Canada’s former Ontario chapter and is currently a member of the Board of Directors and an instructor with Acupuncture Canada. Catharine is a physiotherapist practicing in Calgary, Alberta and a Fellow of the Canadian Association of Manipulative Therapists (FCAMT). 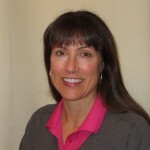 She has included acupuncture in her private practice for more than 20 years. Catharine has additional certification from the University of Alberta (Medical Acupuncture). Her special interests are neck and back injuries and post-partum moms. Cathy lives in Halifax and works in both the out-patient Physiotherapy Department of the Dartmouth General Hospital and in home care. Over her 20 year career she has worked in ICU to long-term care, with the majority of her time in out-patient orthopedics. In 2012, she volunteered abroad as a medical member of Team Canada Healing Hands for Haiti. 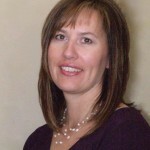 She became involved with AFCI in 2006 and has held positions within the former Nova Scotia Chapter. She is currently on the Education Committee and serves as Treasurer of the Board of Directors. 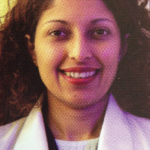 Emiliana is a Registered Physiotherapist and a Registered Acupuncturist with over 20 years of clinical experience. She is also a certified yoga teacher. During her career she has worked in private and public sectors including South Lake Regional Health Centre, Home Care, Canadian Armed Forces and several private clinics. At present, she runs a private practice in Thornhill, Ontario, focusing on integrated treatment of pelvic floor dysfunctions and infertility through pelvic health physiotherapy, acupuncture and yoga. She believes that acupuncture should be a modality of first choice for pain and for a large number of physical dysfunctions. Emily graduated from Western University with a Masters in Physical Therapy in 2012. During her studies she completed the McMaster Medical Acupuncture program and has been practicing acupuncture ever since. She currently works in St. John's, NL in both public and private practice with experience in acute care, long term care, and outpatient orthopedics. 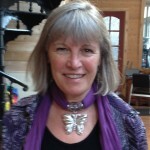 This is her first year on the board of directors of Acupuncture Canada. 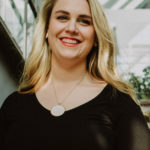 Kara graduated from the University of Regina and then received her Doctor of Chiropractic from the Canadian Memorial Chiropractic College in Toronto, Ontario. She has been serving Prince Albert, Saskatchewan at Broker's Active Care Klinic since December 2006. Tanya Lee-McCracken, BScPT, CAFCI, C.Med.Acup. 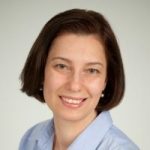 A graduate of Queen’s University, Tanya has worked in acute and rehab hospitals, community care, and private practice in three provinces. She integrates acupuncture with manual therapy, cranio-sacral therapy, visceral manipulation and Chikly’s brain curriculum. 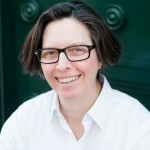 Tanya is a faculty member and examiner with Acupuncture Canada. Her special interests include the treatment of orthopaedic conditions. Mac is an Edmonton based physiotherapist who has been in practice since 1982. His Masterâ€™s Degree is from the University of Alberta. He is a Fellow of the Canadian Academy of Manipulative Physiotherapy and is certified in Gunn Intramuscular Stimulation. Mac has been practicing acupuncture for over twenty-five years and teaching acupuncture since 2000. He is an instructor, examiner and Past-President of Acupuncture Canada. Gerald graduated from the University of Saskatchewan in Medicine and did a family medicine residency at McMaster University. He settled in Mission, BC in 1981 where he has a full service general practice and is the medical director of several long-term care facilities. 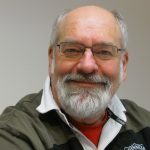 He received his certification from Acupuncture Canada in 1992 and has served previously as President of the Board of Directors, as well as being a faculty member. Doreen has over 30 years experience as a physiotherapist working with hospital inpatients and outpatients, as well as in private practice and home care. A registered acupuncturist, she is owner of Sharpe Physiotherapy and Massage Therapy Clinic, in Trent River, Ontario, specializing in pain management, incontinence, vestibular and aqua therapy rehab. 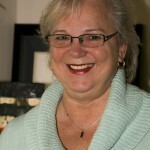 A faculty member since 2001, she also serves on the board of Acupuncture Canada. She is adjunct Academic Staff of Queen’s University.